Quills new compact pen features our new wide-oval slant top that ideally displays the many corporate logos that are wider than they are tall. The unique elliptical shape ensures the pen will not roll on a flat surface, while the soft-grip base provides exceptional writing comfort. 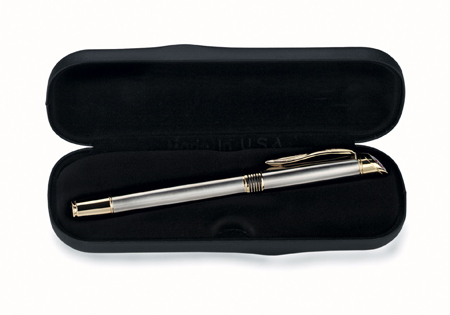 Quality is emphasized as well, as all Quill writing instruments are guaranteed for life. Photo Logo - Full size Full color Slant-top photo logo - 0.6" x 0.48"
Duraprint - Pen only. Single color and One position Duraprint imprinting is 1.50 each. Add $.50 per each additional color or location. * Set-up charge of $45.00 per color per location. 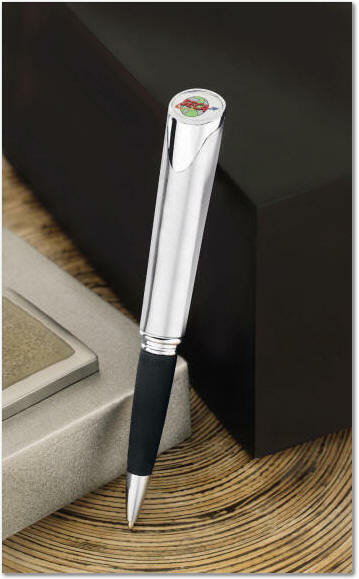 Minimum order 50 pens (absolute minimum 25 @17.95 each) - Sorry we can't sell single pens or a dozen pens. Production time For new orders with standard packaging is 7 days after proof and confirmation. 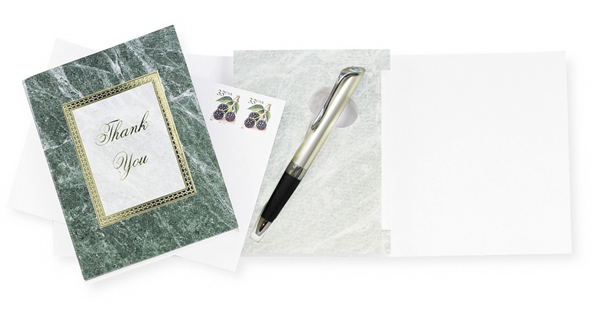 Weight - Approximately 8 Lbs for 50 pens when packaged in the two-piece gift box.